This special offer is valid on stays throughout August, based at the 4* Hotel Brunelleschi in Florence, which is our favourite hotel in the city, offering a flawless level of service and stunning rooms right in the heart of the city centre, just metres away from the Duomo! Upon arrival in Florence, check into a double or twin Classic Executive room, enviably located in the heart of the city centre. The remainder of the day will be free to relax and enjoy the hotel’s facilities. In your travel pack will be a list of recommended restaurants and we would be pleased to reserve you a table at any of these for dinner if desired. After breakfast the morning will be free to explore Florence at your leisure. 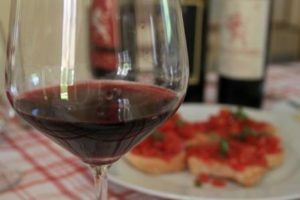 After lunch, meet your English speaking guide at a central departure point, who will accompany you throughout the afternoon, discovering the Chianti region and its unique landscapes! You will firstly be taken to the characteristic fortress of Monteriggioni. 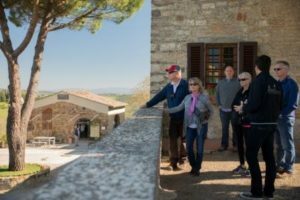 You will have free time to explore, and you will also find some shops specialised in typical Tuscan products, as well as elegant cafés where you can stop and enjoy a coffee. The tour continues with a visit to two charming local wineries where you will be welcomed for a full tour of the estate and cellars, discovering the full wine-making process. After the tours, you will enjoy a tasting of a selection of the estate’s wines, paired with local meats. You will then be taken to Siena, famous for its Palio Horse Race. 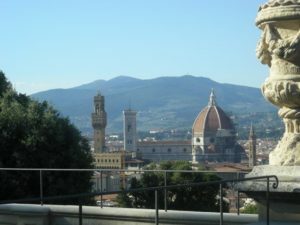 Here you will see important monuments, palazzos and piazzas, including the Piazza del Campo (where the Palio horse race is held) and Piazza del Duomo. The tour ends with a light dinner of pizza and gelato, in the beautiful setting of the Piazza del Campo at sunset. 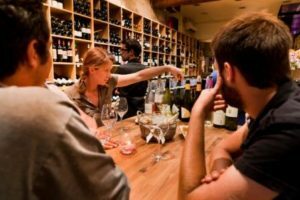 Today we will arrange a tutored tasting session of four wines with local cheeses, meats, breads and olive oils in the city centre. In the evening, a three course dinner will be served in the hotel’s Osteria. Please note, drinks have not been included as part of the package and can be ordered and paid for directly on the day. The total price of this package, based on 2 people sharing a double or twin Classic Executive room at 4* Hotel Brunelleschi is £429 (GBP) per person an includes 3 nights’ bed and breakfast accommodation, an 8 hour guided and transported tour, tours and tastings at 2 wineries, a wine bar tasting session, and 2 dinners excluding drinks.